The first trailer for World War II thriller Anthropoid has arrived online, starring Cillian Murphy and Jamie Dornan as two Czech operatives tasked with the assassination of an SS officer. With the movie set to arrive later this summer, it’s a wonder why we’ve heard so little about it until now – especially with a trailer that’s this intriguing. Cashback director Sean Ellis sits at the helm of this espionage pic, whose title refers to a specific mission where two operatives set about hunting down one of Hitler’s highest-ranking officials, SS Reinhard Heydrich. While the cinematic canon includes a lot of World War II thrillers, and many that involve espionage, Anthropoid looks like it’s planning to pack quite a punch thanks to the performances of its strong acting line-up. Speaking of the cast, Murphy and Dornan are joined by a stellar support roster that includes Toby Jones, Harry Lloyd, Sam Keeley, Bill Milner, Charlotte Le Bon, Anna Geislerová, Alena Mihulová, Marcin Dorocinski, Jirí Simek, Mish Boyko, Václav Neuzil and Andrej Polák. 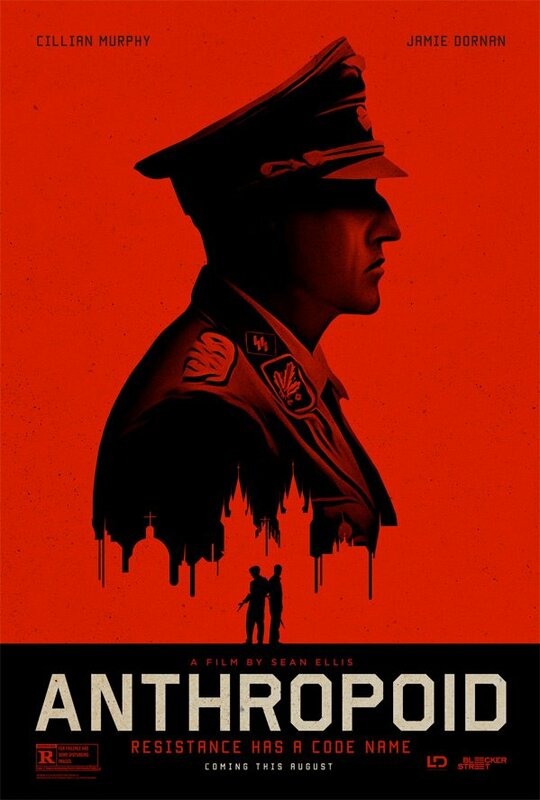 Anthropoid opens on August 12, 2016. Anthropoid is based on the extraordinary true story of “Operation Anthropoid,” the code name for the Czech operatives’ mission to assassinate SS officer Reinhard Heydrich. Heydrich, the main architect behind the Final Solution, was the Reich’s third in command behind Hitler and Himmler and the leader of Nazi forces in Czechoslovakia. The film follows two soldiers from the Czech army-in-exile, Josef Gabcík (Cillian Murphy) and Jan Kubiš (Jamie Dornan), who are parachuted into their occupied homeland in December 1941. With limited intelligence and little equipment in a city under lock down, they must find a way to assassinate Heydrich, an operation that would change the face of Europe forever.